If you ever looked at those old Volvo ads that suggested their station wagons were the next logical step up from a Lotus, well, you can stop snickering. Sure, it may still be a long shot, but Volvo appears to be getting serious about offering performance-oriented automobiles. A couple of weeks ago, we brought you a report that indicated Volvo was forging a closer relationship with Polestar, the racing outfit that fields the company’s entries in the Scandinavian and World Touring Car Championships. 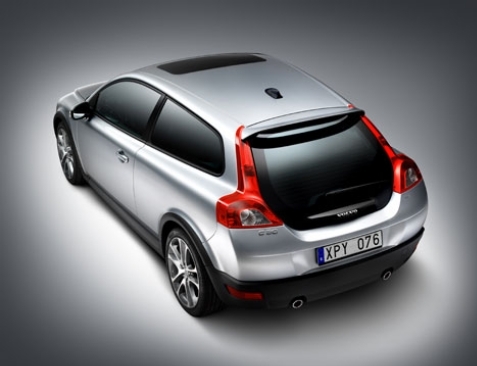 Volvo, it seemed, had already turned to Polestar to squeeze a bit of extra juice from its S60 and XC60 R-Design models, and according to the report, was prepared to utilize Polestar’s talents even more in the future. A clearer picture of that that partnership is now emerging, and so far, it looks promising. Their first collaborative project is tipped to be a production version of the baby-blue, 400-horsepower, all-wheel drive C30 hatchback unveiled last year. If given the go-ahead, we could be looking at a limited run of 500 cars priced around £50,000 in the UK – about the same as a BMW M3.